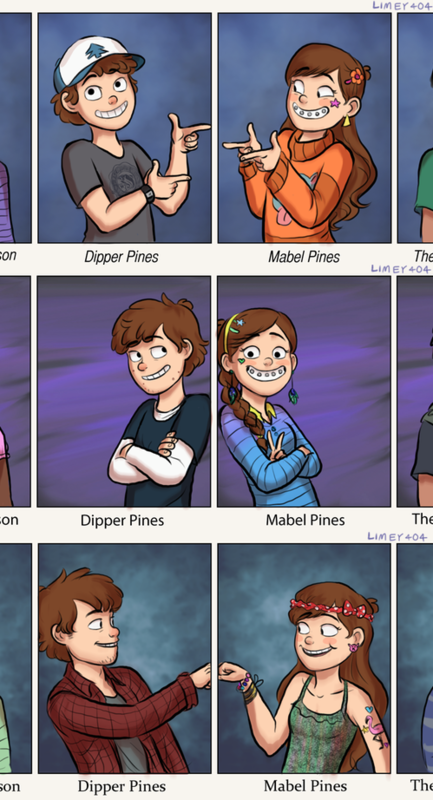 Dipper and Mabel through the years. 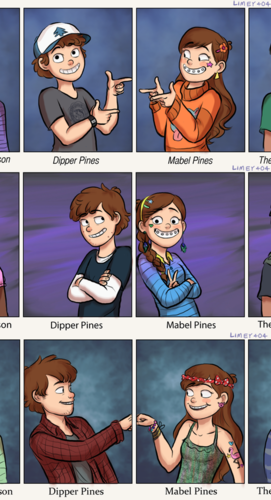 Dipper and Mabel growing up / teen/ teens/ teenagers/ grown up. HD Wallpaper and background images in the Souvenirs de Gravity Falls club tagged: photo dipper pines mabel pines gravity falls grown up teen. This Souvenirs de Gravity Falls photo might contain anime, bande dessinée, manga, and dessin animé.